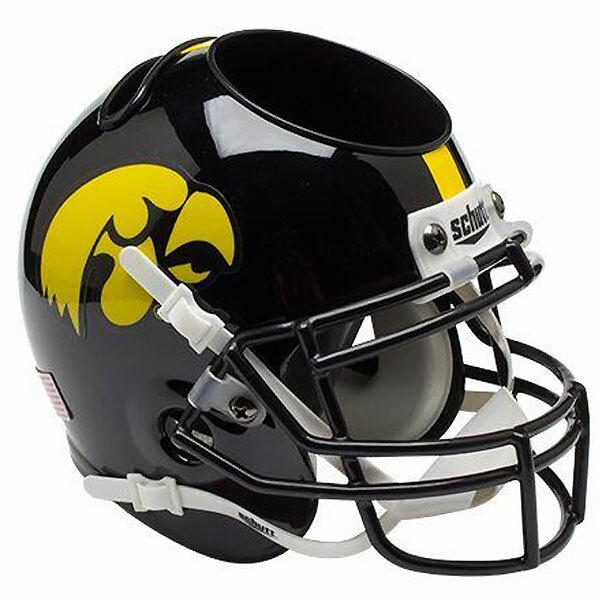 The Iowa Hawkeyes Helmet Desk Caddy will look perfect on your work desk or home desk. This black helmet displays the Hawkeyes logo in vibrant gold and features a cutout top to hold your pens, pencils, or other supplies. Made by Schutt.